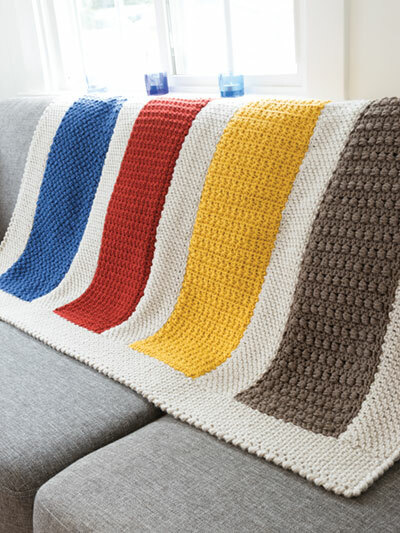 Throw this afghan over your sofa for a bold accent, or wrap yourself up on a cold day. 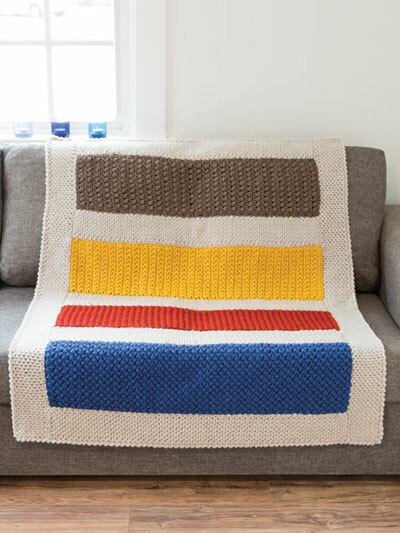 Bright color blocks are worked in cozy, textured bean stitches, bead stitches, linen stitches and more. Crochet with worsted-weight Lion Brand Vanna's Choice yarn: 6 skeins linen and 2 skeins each mustard, brick, taupe and colonial blue. Pattern uses a U.S. size J/10/6mm hook. Finished size is approximately 40"W x 50"L. Design by Lena Skvagerson for Annie's Signature Designs.